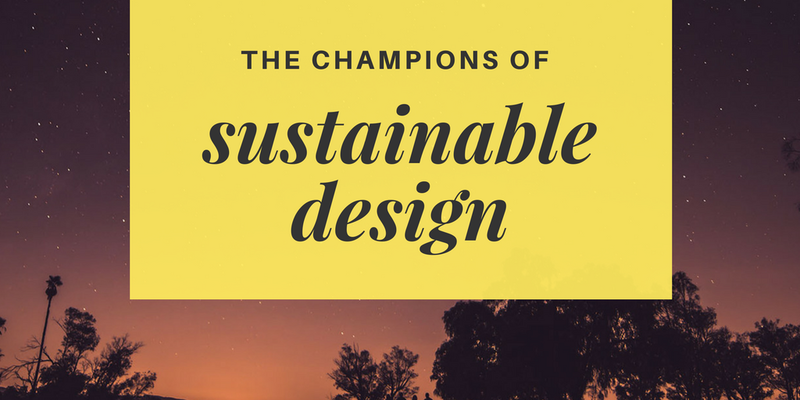 Last year I was bestowed the title of Champions of the Earth from the United Nations Environment Programme, and in honor of the champions that I am inspired by and my work builds upon, I wanted to share some of the great shoulders that I stand on in my work in activating design-led systems change. I am among a very large cohort of people who have Bucky at the top of their design hero list, and I’ve written and spoken extensively about the inspiration he has provided me. Although I have found it almost impossible to read any of his 50+ books to the end (due to his unique way of writing), many of his ideas have permeated my creative practice. 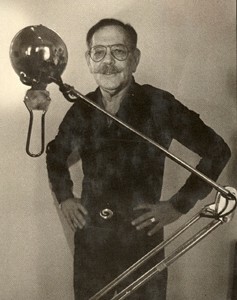 One particular area of his work that provides me with strength is his work around tensegrity, where he demonstrates that everything with integrity requires tension to sustain itself. I remind myself of this regularly when dealing with the constant push-back and resistance that accompanies trying to effect positive social and environemtnal change. It was his book “The Green Imperative” that really helped me understand the role of design and the potential for creative practice to be a positive influencer in the world. 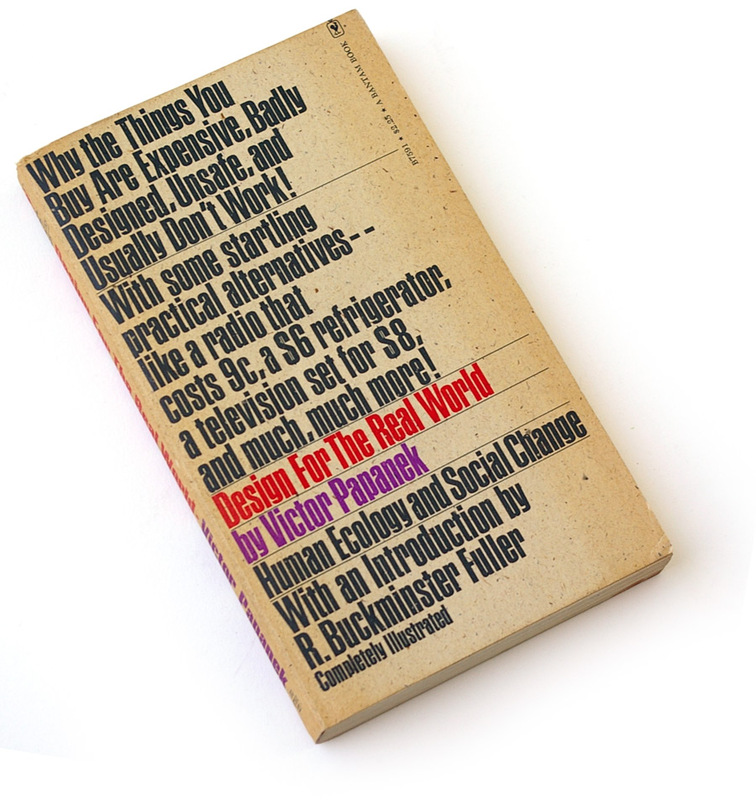 I later read the infamous “Design for the Real World” and was reminded of just how powerful design is in scripting, dictating, and constructing our individual and shared experiences of the world. This book would see him be ridiculed and ostracized from the industrial design community for his provocative exposition of the power that design has on the world. As discussed in this great NYT article, it was the opening line that caused so much controversy within the industry where he said, “There are professions more harmful than industrial design, but only a few.” He then went on to accuse designers of creating death machines (cars) and courageously challenges the industry to take responsibility for the impact that it has on people and the planet. Papanek was the first to outline what became know as the eco-design strategies, which are approaches to reducing the environmental impact of product development, such as “design for disassembly, design for longevity, and design for dematerialization.” These inspired me years later to develop the Design Play Cards as a way of liberalizing the useful design tools that he and many others after him started to employ in the eco-design movement of the 90’s and 2000’s. Vance was the pioneer of anti-consumerism, and his writings from the 1950s were way ahead of their time, warning us all of the dangers of the future. “The Hidden Persuaders” spoke of the manipulative tactics of the advertising industry, and in his seminal book “The Waste Makers”, he predicted a future where we would mine landfills for old tin cans if we continued to move toward a hyper-disposable society. Which, is exactly where we have ended up. When I first read his books, I was already tuned into the critical concepts of cause and effect with regard to material culture, planned obsolescence, and the role that design played in all of this. But reading his perspectives from the 1960’s just at the time when this was all starting strongly impacted me, as it was the foresight that freaked me out. He was writing right after the war, at a time when the American policy was to encourage consumerism as a way of increasing GDP and rebuilding after WW2. 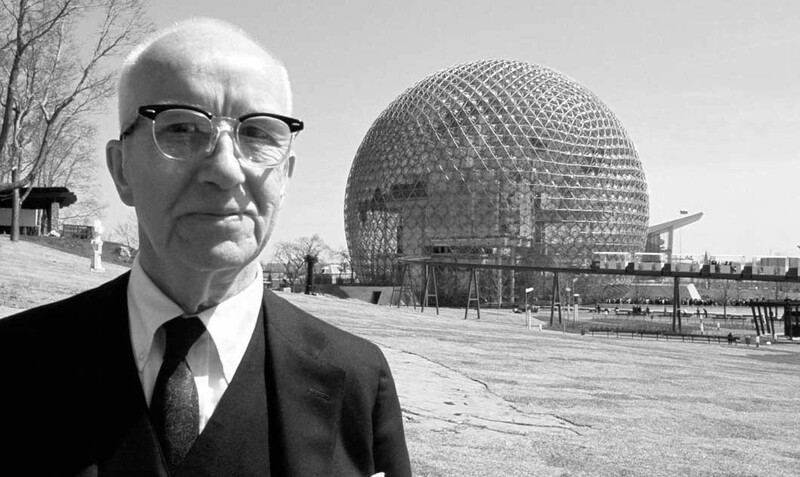 He was the counterweight to the PR work of Edward Burnays and a pioneer of the social influence that advertising and design was having on people. Tim Grant is by far Australia’s best life cycle assessment practitioner as well as one of the world’s leading people working in sustainability sciences. He has not written a book (yet); instead he was the real human who took me under his wing early in my career and supported my crazy ideas while challenging me to think differently. For over a decade Tim was my unofficial mentor, constantly challenging and encouraging me in the development of my work. Tim taught me life cycle assessment, got me paid for my work, set up and shared an office with me when I started my first eco-design company, and invited me to all sorts of LCA meetings, conferences, and communities. Tim would step in to help when I asked, but he never tried to tell me what to to — he just helped me discover what I could do (and did occasionally like to tell me what I couldn’t do!). We collaborated on “The Secret Life of Things” animated series, and it was he who first introduced me to the idea that we all have a folklore about the environment that we cling to (that I spoke about in my TED talk). One day we will finish the book on life cycle thinking that we started six years ago! Years after Tim and I worked together, I was doing a design project on gender equity and leadership. I realized during my interviews with other young leaders that all of the organic and random support from people like Tim throughout my life was one of the secrets to my success and that humans naturally pay forward mentorship like this. To this day, I give away a lot of my time to people I see potential in and use many of the same challenging support tools that Tim used on me to mentor others. I got really obsessed with planned obsolescence of products early on in my sustainable design career. I saw it as one of the critical reasons why we were dealing with so many ecological impacts, as we were being forced into buying more stuff due to the intentionally breaking or failure of nearly everything we owned. I wrote my honors thesis on it and gobbled up everything there was written on the insidious practice that was first pushed forward as a solution to stagnate consumption following WW2 in the United States. There is one book that tells the history of how we ended up designing in disposability and covers so many everyday goods, from razor blades to T-shirts Gils Slade “Made to Break”. The book is a great historical exploration of the rise in consumer manipulation and product death dating. Not long after reading this book, I was running a workshop with some designers who had recently been given a brief for a disposable toaster. After 12 months, it had to be engineered to break. Nowadays we see Apple being sued for batteries internationally breaking plus many other cases of planned obsolescence, which basically keep us all stuck in a relationship with the producers — we expect that we own something that we buy, but really, they have locked us out and duped us into owning a temporary service from them. **I have to make a very clear note here about the gender make up of this list of influencers in my work. I am very aware of the fact that this is a male- dominated list (much like the design industry), and the fact that I am one of a handful of sustainable design leaders who happens to be a female is something I am reminded of day in and day out. To be fair, there are contemporary female leaders in other arenas that have inspired me a great deal, like Donella Meadows and Natalie Jeremijenko. But the literature for design and sustainability is very much a male arena.